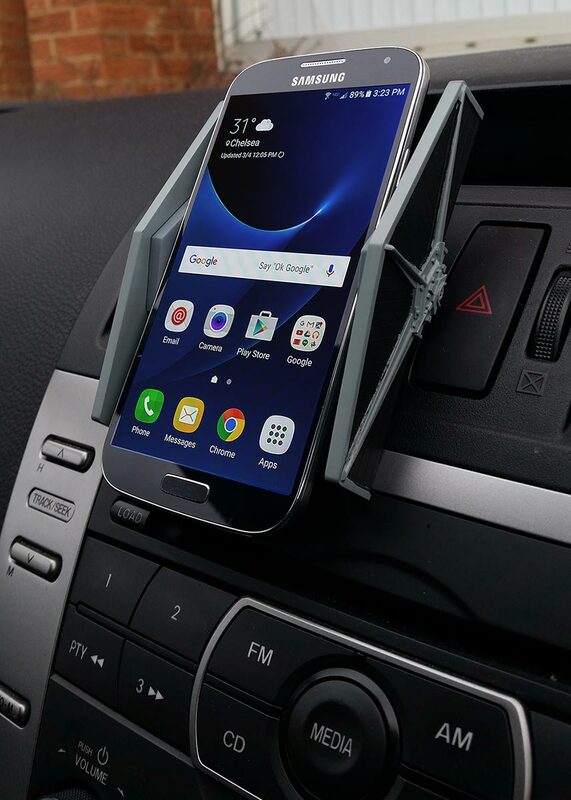 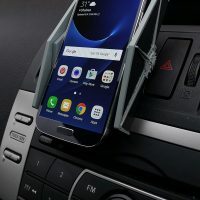 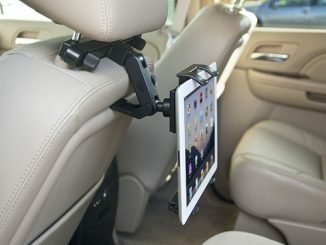 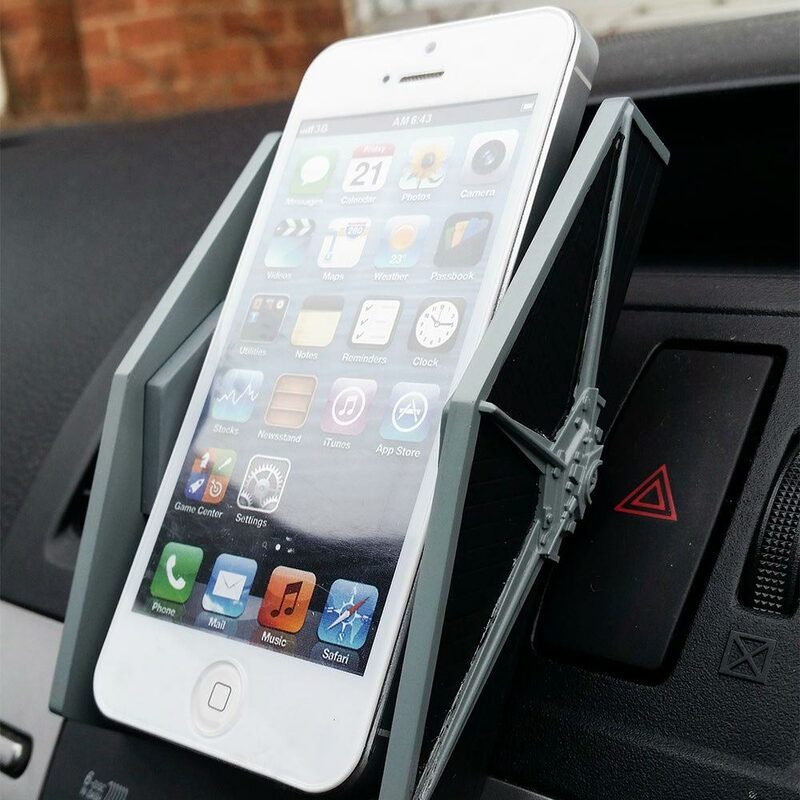 Use this TIE Fighter Universal Car Mount Phone Holder to securely hold your cell phone in your automobile. 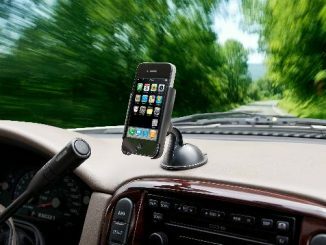 It’s universal with a width of 8cm (3.1″) so it can fit almost any smartphone. 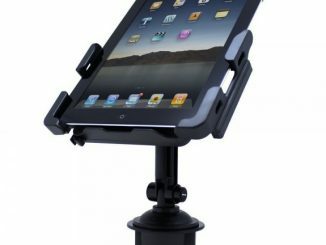 It also rotates 90 degrees for viewing in landscape or portrait modes. 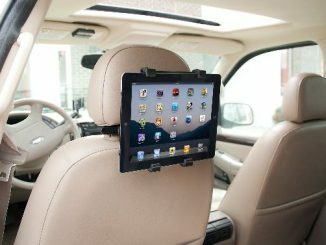 Either way, it’s perfect for hands free calling or GPS satellite navigation, while lending your car a geeky vibe. 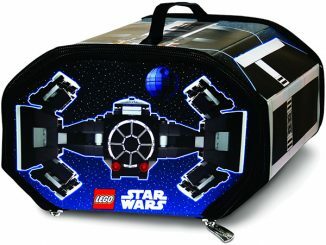 It just so happens that the TIE Fighter is the ideal shape for use as a car mount cell phone holder, just like R2-D2 works amazingly well as a Tape Measure, Coffee Press, Trashcan, or Kitchen Storage Containers and the Death Star shape works nicely as a Pet Cave, Bean Bag Chair, or a Kitchen Timer. 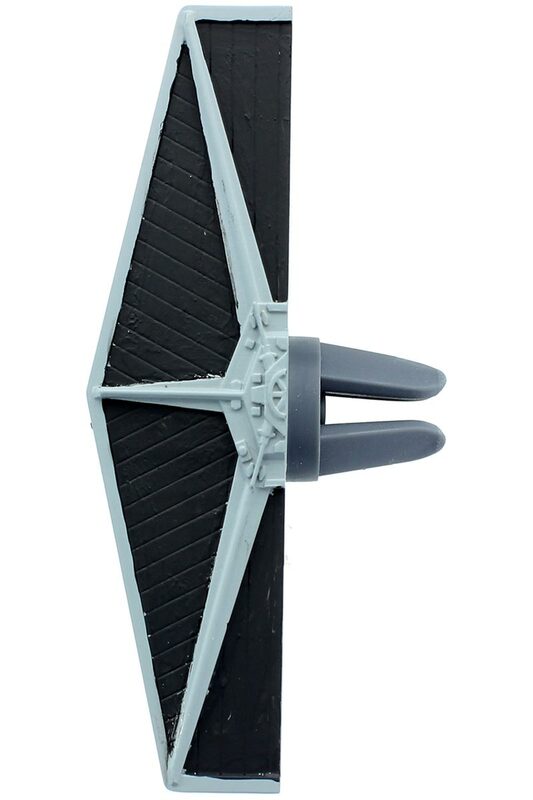 Turns out, the TIE Fighter also makes an incredible Desk Lamp. 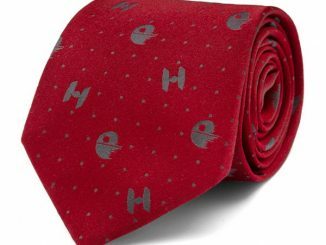 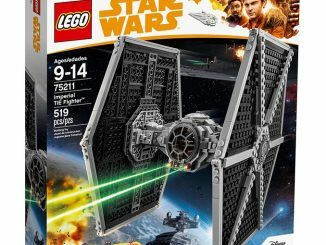 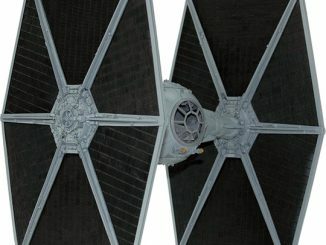 The TIE fighter is an iconic weapon of the galactic empire, they play a key part in maintaining a strong grip of the galaxy through both fear and intimidation. 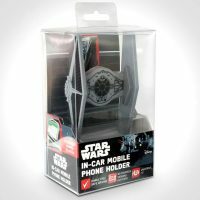 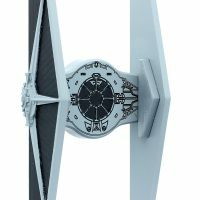 And now with the TIE fighter mobile car grip your phone can feel the iron grip of the Empire! 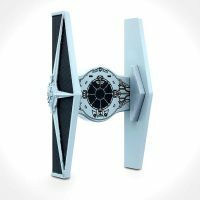 The TIE fighter is cleverly designed to fit most smartphones and is easily installed into your car. 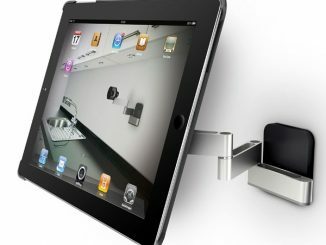 It can stretch an impressive 8cm wide, ideal for holding the bulkiest of largest of modern phones. 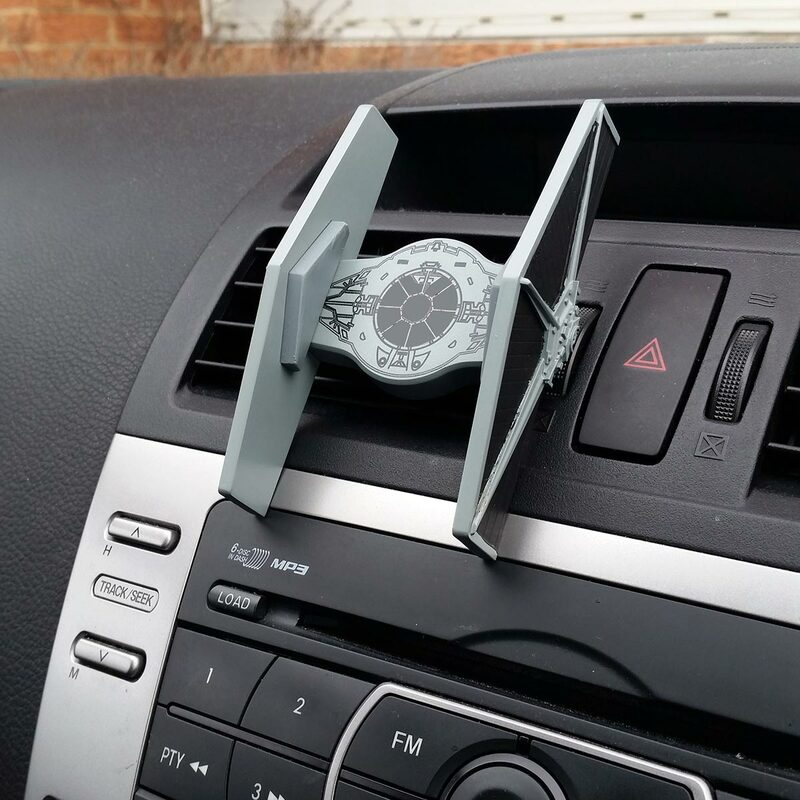 The TIE fighter car mount is perfect for making hands-free calls, and navigation via the maps on your phone, as it has a 90 degree viewing rotation. 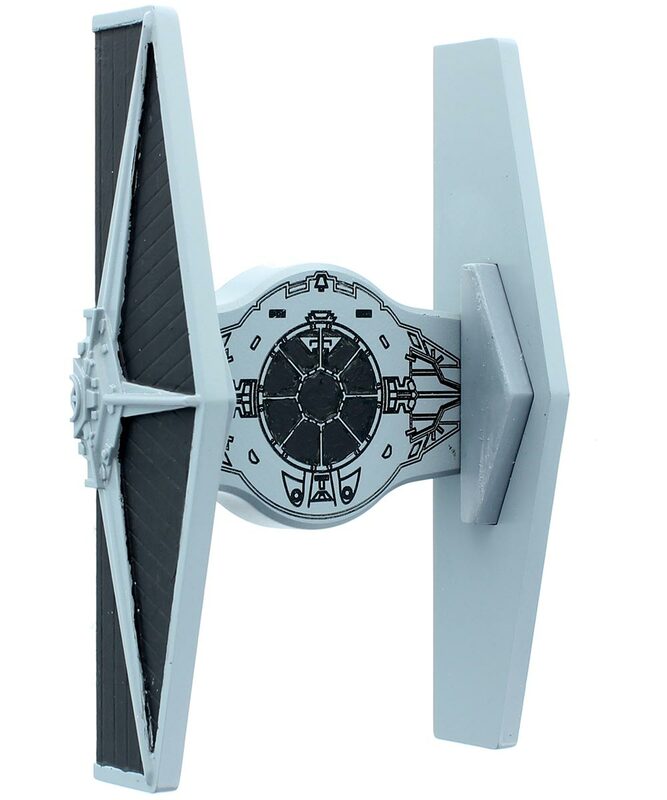 It ensures that nothing will slip from the Empire’s grasp, or yours. 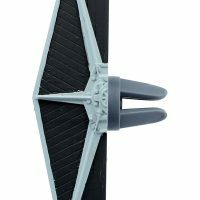 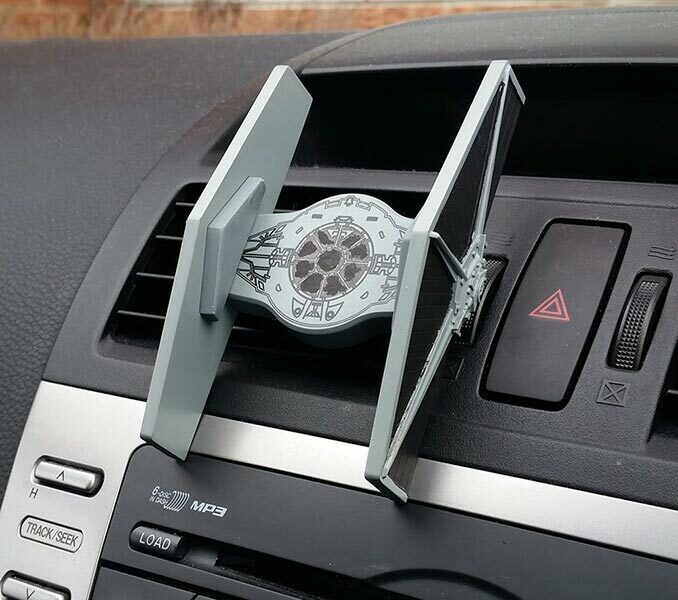 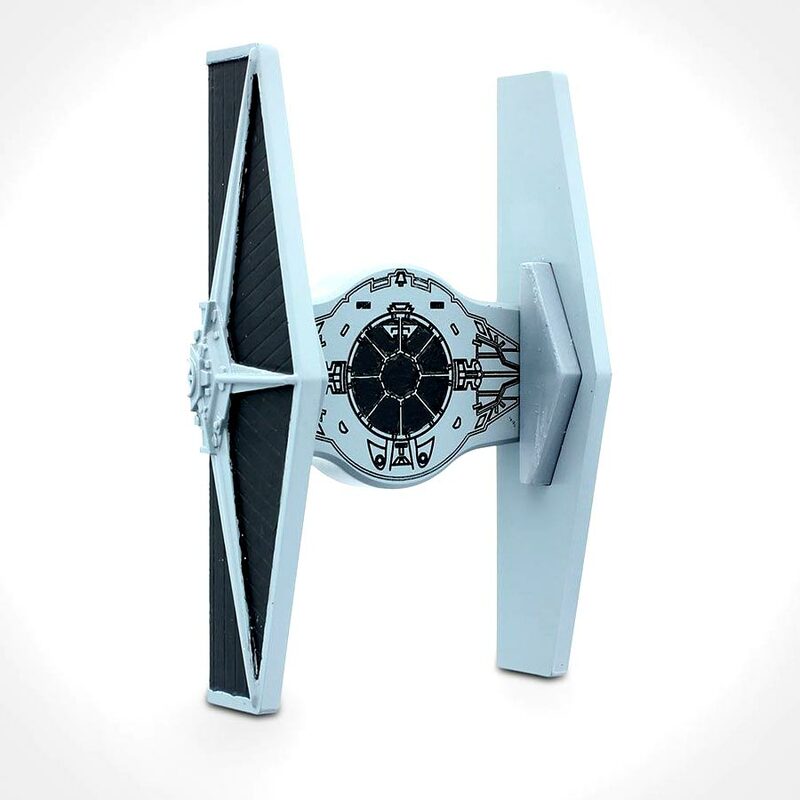 The TIE Fighter Universal Mobile Car Grip will be $16.99 + Free Shipping at Merchoid. 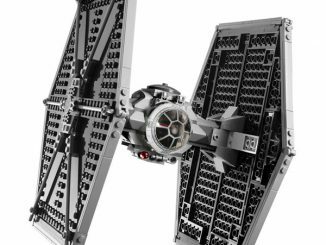 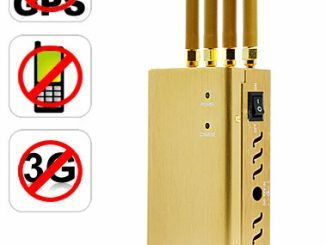 It is currently on pre-order, with an expected arrival of June 2018. 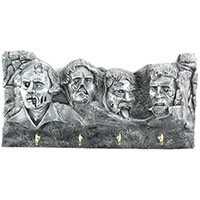 You can also find it at MenKind.co.uk and Amazon.co.uk.